Before Aaron and I moved to Germany, BASF provided an 8 hour ''Cultural Integration'' training seminar for us to make sure we were equipped to interact with Germans. Although, in all honesty, 8 hours is woefully short and can't possibly cover everything that one would need to know on how to seamlessly integrate into German society. It would take an entire 8 hour course just to explain how they sort their garbage. Which brings us to last week. Aaron and I, as part of the relocation package, were able to attend another 16 hours of cultural training. I know it can sound dry since ''cultural awareness'' is generally lumped in together with things like ''diversity'' and ''affirmative action,'' but this class was actually kind of interesting. I think even more so since we have had just about 3 months to absorb some German culture. And one of the best parts? Meeting other international delegates, and their spouses, that were experiencing the exact same thing. They tend to avoid small talk. Call it an INTJ type of personality or a German trait, but getting a German to engage in small talk can be more painful than pulling teeth. And when you are successful in getting them to participate, expect it to be about the weather (especially how bad it is or how good it's going to be...tomorrow), how terrible the traffic was or some other problem they are experiencing. Germans tend to find small talk rude and superficial. Instead, they tend to deep dive into a topic and talk at length about it, as opposed to touching on multiple topics less deeply. And sometimes, they are just content to sit there, together, in silence. As an American, this was strange at first, and a little uncomfortable, now I don't mind it. You will be hard pressed to find a German jaywalking. They not only follow the rules, they wholeheartedly embrace them. A deep seated value of security and control is the driving force behind their rule-abiding nature as well as many of their other behaviors. Germans mean what they say, and say what they mean. There is no dancing around a topic. 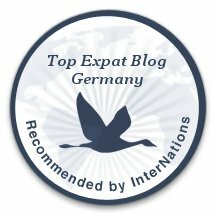 While to many cultures, this can come off as rude an arrogant, it is important to understand that to the Germans, this is polite, not to mention expected. They are not afraid to interrupt you for clarification and challenging a boss, group leader, etc. is not only welcomed, but encouraged. And your body language? Almost completely lost on a German. They focus more on what you're saying as opposed to how you're saying it. Expertise is highly valued in Germany, and is probably the reason that so many professionals hold not only master degrees, but doctorates as well. When you are meeting someone for the first time in Germany, it is not uncommon for them to introduce themselves with a formal title, i.e. Herr Doctor Schröder. Being on time is not just a nicety (as is it in much of the US), but a closely held German trait. They are nearly always on time and hate waiting. Deadlines are set and the Germans expect to keep those deadlines. They move from one task to the next, in a linear manner. While they can adapt if their timeline is messed up, they do everything in their power to make sure that this doesn't happen. Speaking of which, we are headed to a Halloween party tonight. In the past few years, the US love for Halloween has been infiltrating Germany. Traditionally, it's not a big holiday over here and wasn't really celebrated much. But, you know, 'Merica.... Aaron and I are even dressing up this year (something we never do), and I made our costumes. They have turned out far better than I expected. Check back next week for a recap of a German Halloween party!